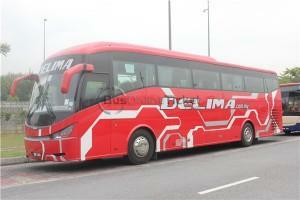 Delima Express is one of the most popular and long serving express bus companies in Malacca (Melaka). The company has been serving the commuters in Malacca for more than 20 years. Apart from having a strong presence in Melaka Sentral Bus Terminal, the excellent quality service provided by Delima Express has earned their customers’ trust and satisfaction throughout the years. Delima Express provides bus service from Malacca to Kuala Lumpur, Johor Bahru and Singapore. In addition, they also provide the return trip from Kuala Lumpur to Malacca, from Johor Bahru to Malacca and from Singapore to Malacca. Delima Express buses from Malacca depart from Melaka Sentral, which is the main bus terminal in Malacca. Delima Express has shifted its operation in Singapore from Kallang Bahru to City Plaza to better serve their customers’ need. This is because City Plaza is the departure point for Delima Express bus from Singapore to Malacca. City Plaza is conveniently located near the Paya Lebar Interchange MRT Station. In fact, it only takes around 5 minutes walking distance from Paya Lebar MRT Station to City Plaza. Therefore, it is now more convenient for passengers who want to take bus from Singapore to Malacca with Delima Express. Delima Express provides direct and non-stop bus service from Singapore to Melaka Sentral Bus Terminal. The ticket price for Delima Express bus from Singapore to Malacca is only from S$ 21.00. 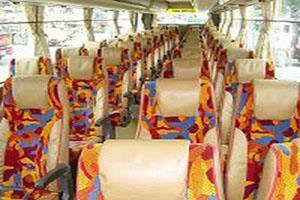 Delima Express bus tickets are available for online booking at BusOnlineTicket.com. Due to its popularity, Delima Express bus tickets are usually fully booked especially during school holiday and festive seasons. So, book your Delima Express bus tickets online and secure your seats in advance!